Michael Reddy was born in Nyack, New York on April 21, 1977, and moved to Los Angeles in 1984, at the age of 7. 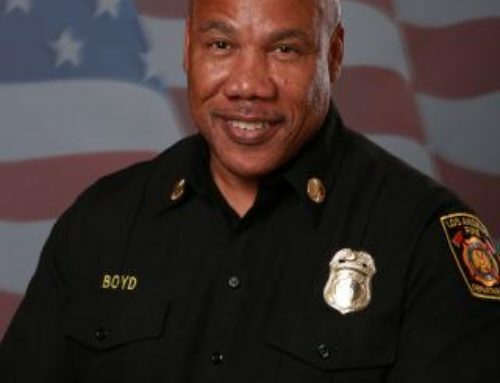 He graduated from Norco High School in 1995 and went on to have a successful career as a firefighter/paramedic and fire inspector with the Los Angeles City Fire Department. Mike was a dedicated husband and father, and an amazing son and friend. He enjoyed playing and watching basketball – his all-time favorite basketball player was Kobe Bryant. Mike was proud to be an Angeleno. 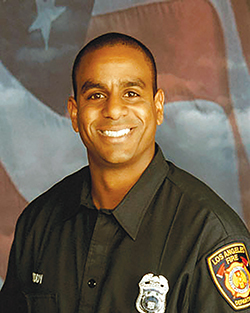 As he would often say, “I’m LA-everything” – LA Lakers, Clippers, Rams, USC and LAFD. He looked forward to coaching his son’s sports teams and spending “Saturday Fun-day” with his wife and kids. Mike was loving and charismatic. He always wore a smile on his face and made people laugh. To know him was to love him! Mike leaves to treasure his memories: wife, Kimberly Reddy; son, Brent Reddy; two daughters, Tyara Clayton and Grace Reddy; mother, Carol Dawn Reddy-Mullen; stepfather, Michael Mullen; brother, Abe Reddy; sister, Amanda Gregory (David); stepbrothers, Matthew Mullen and Michael, Jr. Mullen; stepsister, Michele King (Jason); nieces & nephews, and a host of family and friends.